In total, 69 young people participated in the workshops and outreach activities on offer in October to December 2017, and there were 212 engagements in all. 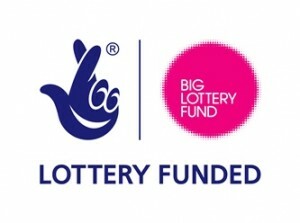 The Enthusiasm Trust’s rolling volunteer programme has continued to engage young people from the Allenton Big Local area, despite the physical absence of the Allenton Big Local youth club. During the last few months of 2017, young people were involved in events such as the Young People at the Heart of Big Local conference held in October, when three young people formed part of a roving reporter crew interviewing the conference attendees to create stories, a short film and a newsletter that reported on the day. Through this volunteering opportunity the young people had a chance to try out a new and positive activity that helped to develop their confidence, teamwork, and communication skills. The three trips organised during the reporting period were provided as a “thank you” and reward for all the hard work and commitment the young people had shown. There was an interactive theatre workshop and performance delivered in partnership with Derby Theatre, which was attended by 12 young people (some of whom also attend the ABL Dance Group). The focus of the workshop and performance was to explore thoughts and emotions around various topics such as drug use, poverty, homelessness, racism and relationships. The young people thoroughly enjoyed the workshop and the performance that followed. It challenged their thought processes, attitudes and behaviours and allowed them to express themselves in new ways, while also providing a level of insight, clarity and reality to some of the issues that they had encountered. There was another theatre trip during the quarter – this time to see Peter Pan. Fifteen young people went along and enjoyed watching the show. The last trip of the year was to the outdoor ice rink in Derby. Twelve young people went along and, despite a few slips, there was lots of laughter and they had plenty of fun and exercise. 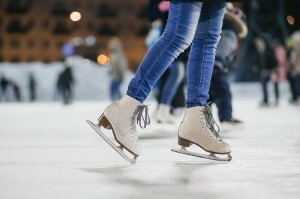 Most of the young people hadn’t ice skated before, so it was good for them to learn a new skill while under the supervision of youth mentors and in the company of friends. Once the St Martin’s Community Centre refurbishment is complete, the youth club will once again be held in the main hall at the centre on Flint Street.